Some speculation is weaving through the airwaves that once its US-imposed sanctions are lifted in several months, Iran will shift its existing allegiance with Russia and instead double-cross the Great Russian Bear by doing gas and oil export deals that directly undercut Russia, especially Gazprom’s Turkish Stream gas pipeline aimed at the southern EU states. Were that to occur, perhaps at the same time a Pentagon and CIA backed rearming of the Ukrainian army and supply of massive heavy artillery to launch a far more effective military assault on the eastern Ukraine self-proclaimed republics, the Washington calculation would be a devastating blow to Putin and Russia’s economic stability. No matter what dreams may be floating around the Pentagon however, for many reasons an Iranian double-cross is highly unlikely. First it’s useful to ask the hypothetical question were Iran to visibly and massively double-cross Russia, what would be the consequences for Teheran? No doubt one or another Iranian politician or businessman has fantasized about the vast riches that will come from the USA and EU once the de facto 36 year state of war with America and Washington’s severe economic sanctions are lifted. Business delegations from several European countries have already been in Teheran talking turkey, that is to say potential huge investment in rebuilding Iran’s rundown oil sector and other potential projects. Yet what would be the consequences of Iran’s directly undercutting Russia’s stragegically significant oil and gas exports with her own vast oil and gas? First of all it would deliver Teheran to the mercy of the same West that imposed the sanctions. Iran’s Oil Minister, Bijan Namdar Zanganeh, made an address on Iranian TV on August 26 where he declared Iran’s intention to restore her former oil export levels regardless of its effect on OPEC prices. He suggested were Iran’s exports to double and cause prices to halve, it would be no problem as the country is accustomed to sanctions and export restraints. USA and EU sanctions including an unprecedented closing of SWIFT interbank payments access to Iran to block payment for oil exports began at end of 2011 and a second phase in 2012. The consequences were severe. Iran’s oil exports dropped from 2.6 million barrels per day to just 1.4 million bpd in 2014. The vacuum was filled by China and other Asian and EU buyers of Iran crude mainly buying from Saudi Arabia, Kuwait, Nigeria and Angola according to US Department of Energy EIA data. The addition of another 1 million barrels to today’s glut oil market that is keeping prices well below $50 a barrel rather than the $114 dollars it enjoyed in June 2014, would not be happy news for Moscow. However, that all depends on how long Saudi Arabia and other Arab OPEC producers continue to flood world oil markets in their bid to bankrupt a significant portion of the US shale oil competition. A new World Bank report estimates that by sometime in 2016 Iran could export one million barrels more. In today’s market that’s a lot. 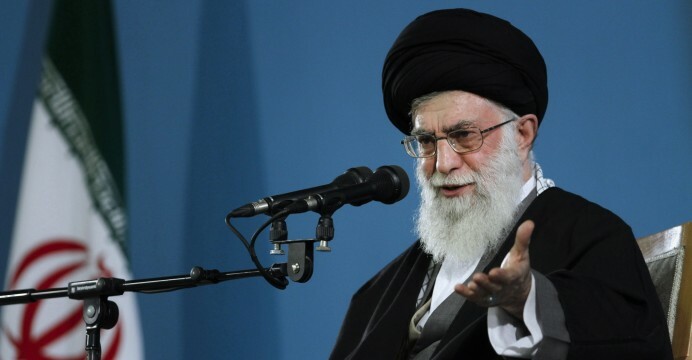 However, indications are that Iran will not act in a reckless way. Saudi Arabia and OPEC until very recently have always included Iran as a member. It means the Saudis and others who filled the Iran oil export vacuum in the past three years must expect to lose that added recent share gained from Iran’s economic distress. The recent Russian negotiations with Saudi Arabia on some $10 billion in trade including purchase of Russian-built nuclear power plants and likely significant purchases by the Saudi Kingdom of Russian sophisticated arms, could put Russia’s Vladimir Putin into a unique mediating role between the formerly hostile two oil powers. Iran has nothing to gain by reckless actions creating new enemies when its new American “friend” is hardly trustworthy. The other moderating factor are major new arms agreements and negotiations for delivery of past purchases once sanctions are lifted. Those deals from Teheran are with Moscow so far and visibly not NATO countries of the West. On August 19, Russia’s Deputy Foreign Minister Mikhail Bogdanov told Russian media that Iran will receive the S-300 long range surface-to-air missile systems by the end of this year. This was confirmed by Iran’s Defense Minister Brigadier General Hossein Dehqan who added the significant note that the missile systems will be upgraded to include all improvements made by Russia since the original deal was frozen by then-President Medvedev on the pretext of UN Security Council sanctions in 2010. The S-300 today is said to be the most potent anti-aircraft missile systems currently deployed, including those from the United States. In the same press conference Dehqan said Tehran is also in talks with Moscow to buy new Russian fighter jets and ruled out reports on Iran’s potential purchase of military aircraft from France. Commenting on the decision to buy Russian fighter jets, Dehqan stated, “In the field of fighter jets, we declared our requirements to the Russians and we have made no request in this field to France,” adding that it was very “unlikely” for Iran to engage in military cooperation with France in the current situation. Poor France. You lose not only the lucrative Mistral sale to Russia but fighter jet sales to Iran. Ever since Sarkozy brought you back into NATO in 2009, reversing the 1966 decision of French President Charles de Gaulle to leave NATO, France has had nothing but problems. Then at the Russian MAKS-2015 Airshow on August 28, Russian Deputy Minister of Industry and Trade Andrei Boginsky announced that Iran has expressed interest in acquiring dozens of Sukhoi Superjet 100 twin-engine regional passenger jet to modernize Iran’s commercial fleet which has been frozen since 1979 by US sanctions. Russia offered to permit Iran to localize a part of the production should it purchase the Russian aircraft. Iran’s Vice President, Sorena Sattari, while in Moscow for discussions on restoring credit and trade connections between the two countries, held talks with Russia’s Minister of Industry and Trade, Denis Manturov. They discussed at length how to sort out the interaction of the banking systems and open credit lines. “This would create the necessary basis for the development of trade-economic cooperation between our countries,” Sattari told the Russian daily, Kommersant. “The talks were very constructive. We hope for a positive outcome on this issue,” he noted. Iran is also interested in using Russian rocket carriers to launch satellites into orbit. Sattari remarked, “It is important that this is done as part of joint projects. That is, so that we jointly develop and create satellites and cooperate in the sphere of space rocket construction.” He added that Russia has no competitors in the sphere of space technology. Good bye European ESA and US NASA fantasies of juicy satellite contracts with Iran too. In sum, it looks very much like Iran, post-sanctions, plans to deepen its strategic ties to Moscow, not to deliberately make an economic enemy. As OPEC did for decades, there is no reason why Moscow and Teheran cannot come to amicable negotiated market shares for oil and gas amenable to both. Another reason that glues Teheran closer to Eurasia and not to NATO is China’s great One Belt, One Road rail and sea lanes infrastructure project. Even before the nuclear agreement, Iran decided to be a founding member and join China’s AIIB, the Asian Infrastructure Investment Bank, a rising rival to the Washington-controlled World Bank. For China, Iran’s geographical location and its topography make her a strategic partner for developing the network of overland infrastructure corridors criss-crossing Eurasia independent of potential confrontation with US Naval presence. Iran was a part of China’s original Silk Road back during the Han dynasty some 2100 years ago. Cooperation between the two countries has a long history. Now since President Xi Jinping’s decision to make the land bridges of the Eurasian New Economic Silk Road, spurred in part by the foolish Obama “Asian Pivot” military encirclement of China by sea, Iran is regarded in Beijing as an essential partner. Iran is China’s most convenient access route to open waters aside from Russia, and the only east-west/north-south intersection for Central Asian trade. In May 1996, Iran and Turkmenistan forged this missing link by completing a 300-kilometer railway between Mashhad and Tejen. And in December 2014, Kazakhstan, Turkmenistan, and Iran inaugurated a railway from Uzen (Zhanaozen) to Gorgan and onward to Iran’s Persian Gulf ports. For Beijing, Iran’s geostrategic value is enhanced by its position astride one of China’s two overland bridges to the west. The other bridge skirts the northern coast of the Caspian through Kazakhstan and southwestern Russia near the Caucasus region. Iran is strategic to China’s vast infrastructure project as it also connects China with both Europe and the Persian Gulf. Now, once sanctions are lifted in several months, Iran’s long-sought membership in the Eurasian Shanghai Cooperation Organization (SCO), which has been blocked because Iran was under international sanctions, could also be approved as early as next year’s annual meeting. The SCO now includes Russia, China, India, Pakistan, Uzbekistan, Kyrgyzstan and Tajikistan with Iran having Observer Status. Iranian Deputy Economy Minister Massoud Karbasian in a recent Teheran press interview stated that when the Iranian branch of the New Economic Silk Road is completed, Iran will become a transit route for more than 12 million tons of goods a year. Chinese President Xi has estimated that within a decade the One Belt, One Road as it is now officially known by China, will annually create more than $2.5 trillion of trade among the countries along the Silk Road. For Iran, fully cooperating with this development, led by China and Russia is far more promising than becoming a geopolitical pawn of Washington in economic or any other wars against China and Russia. On a personal visit to Teheran in 2013, I witnessed another factor that goes very deep in the Iranian soul and hinders trusting any promises out of Washington. I was given a guided tour during my stay of the national museum dedicated to the tragic Iran-Iraq war from 1980 through to 1988. It was one of the bloodiest wars in the entire 20th Century and one of the longest. It also cost Iran more than one million dead. No Iranian is ignorant of the fact that it was Washington that prodded and backed Saddam Hussein to launch that devastating war.